I wonder for how long I’ve been ignoring the messages my body has been yelling at me. Certainly I should have known that the sensation of vertigo was enough to leave work, but I was so eager to get back to seeing clients after having had laryngitis for a week that I decided that nothing was going to keep me from doing just that. I was upset with myself for being sick so much. I was frustrated that I had to cancel so many sessions. I was worried that I was going to be fired. When I didn’t have a voice to use to call the group managers to tell them I wouldn’t be there, I read a whole lot into the responses I got from their e-mails. Were they pissed? Were they going to look elsewhere for services? I wish I weren’t so sick all the time. In mid-April, I had some stomach troubles. I am used to this, but some were bad enough that I had to cancel a couple of sessions and meetings. A couple of weeks later, I caught a cold, which very quickly turned into laryngitis. This, too, I am accustomed to having happen — in the last couple of years, it seems that I lose my voice when I get a cold. There went another few days of sessions. The Monday after my cold hit, I finally had enough of a voice to use to sing in my sessions. I was determined to be fine that morning, and more determined yet to get back to my normal schedule. Being sick is just as much a mental exercise in guilt as it is a physical experience in discomfort or pain. I felt well enough through my first session, though I remember thinking that I was feeling some dizziness on the drive away from the client. The sensation got worse, and coupled with a headache that originated in my temples and radiated to my eyeballs. But, I still had a voice, and I didn’t think whatever this crap was could be contagious, so I drove on to my next client. There I was, face to face with my client, and I was having trouble focusing — not my attention, though that was compromised, but my sight. Needless to say, I was not the best therapist in that session. I was simply trying to get through it without having to move for fear of falling over. Though I hadn’t seen my next few clients in a couple of weeks, I called off the rest of my day and carefully drove myself home where I wept to my work-at-home husband about what a failure I was for being sick, yet again. Having two kids under the age of four does not lend itself well to being a sick mama. But my husband never complains when he needs to take the full responsibility, and I went to bed and was miserable with body aches and fevers and chills the rest of the night. The vertigo was so bad in the morning that I couldn’t sit up, so I pulled over my phone and e-mailed my day full of clients saying, another time, “I am sick.” I spoke to a nurse who said I might have the flu, and then my doctor said that I’d have to go in for an appointment to be prescribed anything. I wasn’t able to drive, so my husband took me in. At the appointment, they weren’t able to measure my blood pressure on the machine because it was so low. The doctor said they’d have to run some blood tests to see what it is, but that since they’d need to send it over to the hospital, I might as well just go to the emergency room. I’m busy calculating how much time there is left in the day before we have to go pick up the kids. I knew a trip to the ER would be lengthy. I figured that once I got to the emergency room, I’d get IV fluids and feel immediately better. This was not the case. We were there for a few hours. They ran a number of tests on me. My husband was with me until he had to go to pick up the kids, and at that point, we learned that I had to be admitted. Fortunately, my mother-in-law is local and was able to help with the kids’ bedtime. I spent time between blood draws and fever spikes e-mailing my clients to tell them I wouldn’t be seeing them that week. The second day in the hospital was the worst. I had had a 102.9 fever the night before and hardly slept, and that second day I was emotional and embarrassed for being there. The doctors said I had two separate infections that had gotten to my blood and gave me sepsis. I was dizzy because my blood pressure was so low. I also had developed a rash on my arm, and they were concerned that the infection might have gotten to my wrist, in which case antibiotics wouldn’t help. I had an echocardiogram because that particular strain of strep could affect the heart. I was on two antibiotics, and then they changed one after learning about the certainty of strep. I didn’t have an appetite. On the third day in the hospital, I wasn’t dizzy and I was finally comfortable. I was in the hospital for four days, and they discharged me with a PICC line so that I could have daily IV antibiotics on an outpatient basis for two weeks. I’m done with the daily treatments and have a follow-up appointment this week. My parents were able to come up and stay with me for much of the time I was getting treatments. I chose not to work during that time, and will be going back to seeing clients tomorrow. All of my clients were understanding and gracious. All of my clients wished me well. Throughout this whole thing, I’ve mostly been in disbelief. I am sad when I hear my son tell people that I was in the hospital because I was sick. I am mad that I wasn’t able to play with my little people while I was stuck there, even though they did come visit me every night. I wish I weren’t so distracted that I let everything get so out of hand. I wish I paid better attention to myself so that I could be better for my family. In all of it, I feel like I was the inconvenience, disrupting the flow of the day. Anyway. That’s my account of my hospital stay. I felt like a therapist today. I saw one of my clients recently whose primary diagnosis is autism. The client has been experiencing elevated anxiety and is spending much of their time on the floor or ground (which is unusual for this person). I spent a lot of my time with the person on the floor myself (which is not unusual for me), next to but not in front of the client. I spent a lot of time concentrating on grounding sound; low, slow, rhythmic pitching; half-time singing songs the person requested; making an effort to bring attention to my inhales and exhales; simple, nearly-monotonous melody (during improvisation); and simple accompaniment. I absolutely noticed a change in the person between the beginning and the ending of the session. Absolutely. I noticed quiet and length toward the end of the session. Mostly, the client sounded (to me) staccato, even pizzicato. Not percussive, in as much as percussive sounds happen as something is hitting against something else. This client definitely sounds, generally speaking, pizzicato to me; like the client is being plucked up and out — the opposite of percussive. So, maybe this person wanted grounding today (the client was, after all, on the very ground). Something solid. Instead of flipping about around the room like the sounds from fingers on strings, the client needed, to my ears, sounds to catch them and help them to the ground. Well now I wish I’d had my violin with me. When I was studying music therapy at Marylhurst University, we discussed transference and counter transference quite a bit in one of my courses. I remember thinking, “Wait, which one is which?” I admit I still have trouble with the distinction, but I understand, more and more each day, how transference affects the environment. I see a group on Tuesday mornings. This group is almost always very high energy, and I typically spend a lot of time at the end of the session trying to bring everyone together in breath work (which is to say I want everyone to relax a little before they go out screaming down the halls to lunch). A lot of the people in the group use speech, and some of them sing along or contribute words or phrases to improvisations. Many of the people in the group stand and move in the music or play instruments. Almost always, I leave these sessions feeling nearly jubilant, refreshed even; this group infuses excitement in me that I can say I don’t regularly feel in other sessions. I walked in this morning and was very plainly sad. I set up my instruments and gear on the table as I always do and I wanted very much to be home. I felt homesick and down. I immediately wondered: Is this me, or is this them? If it’s not me, is it the whole group? What have I noticed walking in today? Is there anything unusual happening today? Has someone died? Is someone ill? Why am I so sad? This heaviness stayed with me for the whole session, even though the group did not reflect this sadness. I did not hear anything that evoked sadness. No one played anything particularly somber during the check-in. But, one group member had re-joined after having been away for several weeks. This person, though they presented cheerful enough, has always had an irregular and erratic home life and has been in group so infrequently that I wondered whether they would ever come back. I know that they don’t have a lot of support. I wonder, now as I’m writing, whether the sadness was mine today, or whether is was the group’s, or even that individual’s. Maybe it was both. Maybe it wasn’t. What is endlessly fascinating as well as frustrating about group work is that I won’t ever know. Though I am a part of the Great Lakes Region of the American Music Therapy Association, I’m going to be going to the Western Region and Midwestern Region’s joint conference in Broomfield, CO that starts in just a couple of weeks. I have family in Colorado whom we were planning to see at some point this month, anyway, and as they live close enough to Broomfield to make the trip work, we decided to visit family and go to conference in one shot. I went to school in Portland, OR (Marylhurst University) and will likely know a few therapists out there. One of my good friends will be receiving an award at the conference, so all will be well. I’ll have to write up a little something about the sessions I attend. In the mean time, I’ll keep working. A few days ago, I posted a link to the article I wrote for the ezine Music Therapy Clinician. I wrote the article months ago, some time in the summer, when I was struggling keeping work and family from falling apart. I wasn’t sleeping because I had a little girl who wasn’t sleeping. Sleep, as it happens, is one of the very most important pieces of my health, I found out, thanks to the baby. My identity as a music therapist was disintegrating and I think I was mistaking the resistance I was experiencing for a desire to change careers. I did need a break. In the background, during my break, I was processing this resistance I felt. I think I wanted to do more meaningful work in my music therapy practice. I wanted to understand the music and my clients better; I wanted to do more in my relationships. I’ve been working full-time again since mid-December, and I’m happy for having had the time away. I’m finding more confidence in what I’m doing and why I’m doing it. I’m articulating more clearly how I believe my client, the music, the environment, and I are interacting. I’m offering more definitive ways for my clients to express themselves: Do they agree with my perception? Do they disagree? Have they ever even considered it? I’m done with my break and I’m better for it. I’m writing to you almost two years after the last post was published. I (probably) won’t take two years between posts from here on out. I’m hoping to post every Thursday. I’m sharing an article with you that I had published in Music Therapy Clinician: Supporting reflective clinical practice. Strangely enough, the article was written about my time taking a break from work, and I’m sharing it with you while I’m re-entering. Regardless, please read it as you’re able. The article is “Getting Out to Get Back In.” Music Therapy Clinician: Supporting reflective clinical practice. Please comment on this post if you’ve ever had a similar experience; I’d love to connect. I don’t make resolutions to speak of, so I don’t have anything specific to focus on for the next 12 months. I’m going to break down my professional-life goals into monthly attempts at achievement. My achievement attempt for January is, no shocker, “organize.” My desk is a nightmare (I really have nightmares about it), I dislike most of the templates I use for documentation, and in a much broader stroke, I still don’t feel that I’ve adequately wrapped my head around my definition of music therapy. What do I do? I have a few definitions that I like, but I’d like to hone my self-identification and further strengthen my stance in a theoretical orientation. I often wonder if I’ll ever feel that I know fully who I am as a therapist (or person), but perhaps that’s not a bad thing. What does it mean to you to organize? Is it a wholly physical experience? How do you do it? Is it always a process, or do you ever feel it’s achieved? Write up your thoughts. Send them to me by January 15 and let me know if you’d like them published here. I’ll have mine up on January 29. This year has been quite dynamic. I’m still interested in collaborating with other creative arts therapists in writing projects. Next year, a colleague of mine and I are launching a really neat, fun, hopefully interesting and educational project that will be coming out in January. I will be sure to post more about it here, once we have the details entirely considered. I have been a recipient of clinical supervision for about two years now. Because I do not work with other music therapists, and because I was starting to burn out working the way I was working, I found a clinical supervisor with whom I have been speaking on a weekly basis. In many of my conversations with her, I ask her for advice, support, sometimes validation, a new direction to take, and often how the quality of the music being shared between my client and me is indicative of progress or resistance (which is not to say that resistance is not progress). Over the past year, I spent most of my time with my supervisor talking and sometimes playing through my work with a particular client. Finally, last week, this client really opened up and I felt an enormous shift in the session. I was both electrified (this is how therapy really feels) and terrified (repeat: this is how therapy really feels) by this change. I believed in our process at that point– that all of the work and supervision and consideration regarding this client mattered. We had moved into another level of work. The next day, the client was pulled from music therapy because apparently this person’s other therapists reported progress, too, and inexplicably for that reason, music therapy was no longer needed. I could not believe it. I still cannot. Write about it, create about it, play about it. Consider my feelings about this abrupt termination. Recognize that this was a therapeutic relationship in which I was a member, and that I can be upset by the fact that my opinion about this sudden termination didn’t change what happened. Find peace with it somehow. We’ll see how this turns out. I wonder what steps I’m missing. This is the hardest termination I have experienced yet. Looking for a peer support group? 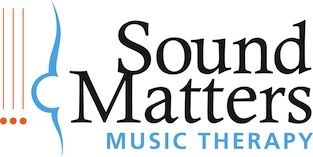 If you’re in the Minneapolis or St. Paul area, and you are a board-certified music therapist, feel free to connect with me and I will let you know about our group. Whom do you consider to be your boss? The person who is most necessary in my work is the client. If our relationship is not working and not progressing, then I need to re-evaluate what I am or am not doing. This is not to say that the therapeutic relationship is easy, smooth, or fun. But there is hopefully progress in it.